Many of our daily routines rely on our cars. Taking the kids to school, getting to work, doing the shopping & visiting friends or family. We at John Russell Insurance understand how important your car is to you. Contact us today for a quotation, and our experienced team of brokers will use our vast network of insurers to find the policy that is right for you. On your way to passing your test? Let us help by insuring you to get the extra hours practice that you need. Insure yourself for 1, 2 or 3 months at a time, which runs alongside an existing car policy. This will protect Mum or Dad's No Claims Bonus should any bumps or scrapes occur. Click now for a quote from Provisional Marmalade & you will be on the road in no time. Our partner Dayinsure provide temporary insurance for periods of between 1 and 28 days. 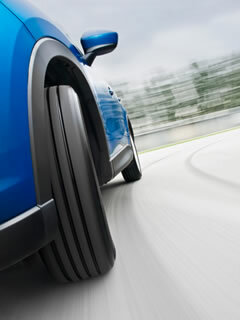 It is a quick solution for insuring another vehicle or person on a short term basis in minutes. The policy is comprehensive and the certificate and schedule can be printed out immediately.